• America needs to rekindle its sense of humor. Please accept my sincerest apologies for skipping last week. My amends? A double scoop of Facebook spanning election week and this week. Still like me? I hope so. I love and cherish forgiveness. Thanks in advance. I promise this week’s installment will be a good one, thought provoking at the very least. I hope you did this before you voted last week. First up, this has been the ugliest presidential election I’ve ever participated in. The vitriol was so bad, in my humble opinion, that this nation hurt itself. However, there were sprigs of hope. For example, President Obama called Mitt Romney on election day congratulating him “on a spirited campaign,” according to Charisma News. Then Mitt Romney, who won the popular vote proving how divided this nation really is and that regardless of the winner, they really don’t have much of a mandate to do anything, gave a very gracious concession speech. Then Romney negated that gracious moment the following week with a bitter reflection on why he lost. 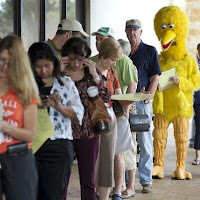 Any ideas who Big Bird voted for? 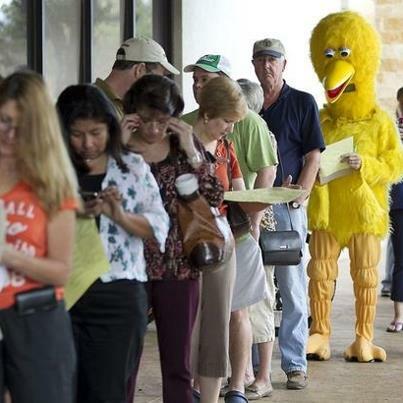 The funniest photo was posted by Mashable of Big Bird at the polls waiting to vote. Anyone want to guess how he voted? I’m pretty sure I know who he voted for. A friend from my neighborhood and fellow high school alumnus who is gay posted on election night how he was unfriending people who were spewing hate about the Obama’s win, some even including quotes from the Bible. 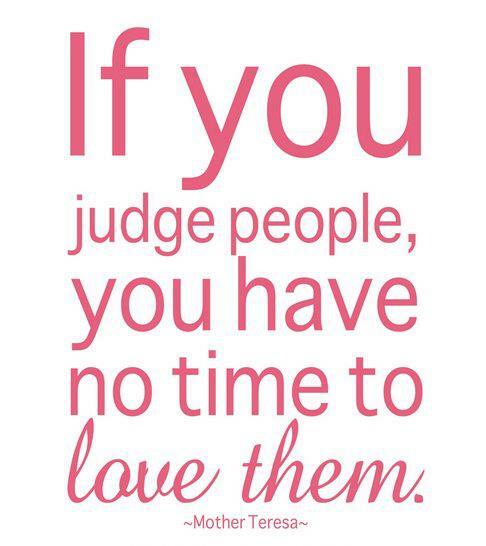 Only Jesus gets to judge people. I was dumbfounded that people who call themselves Christians could be so bitter and stupid by vomiting their brand of God on others. As a Christian, I was embarrassed. However, Kris Valloton did it again and posted the most appropriate response I’ve seen anywhere. 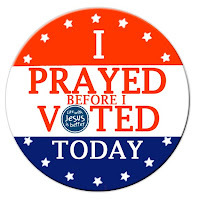 My prayer is that Christians who didn’t vote for Obama do what they have been called to do. 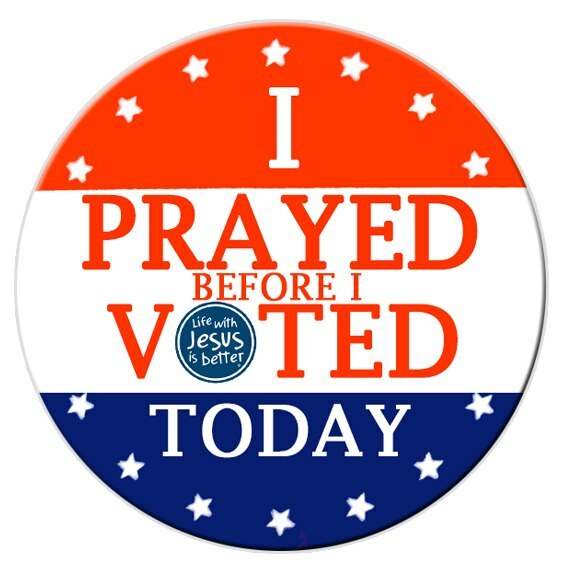 Pray for ALL of our leaders including the salvation of Obama and his family. 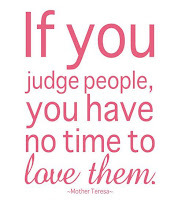 Don’t agree? Check your Bible. Read Daniel, a Jewish man who served four kings, one of which was arguably on of the most vicious kings of Babylon, King Nebuchadnezzar. 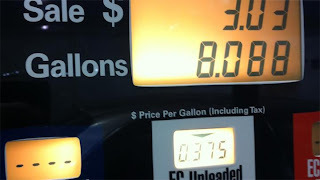 A Palo Alto gas station accidentally set gas at a price not seen anywhere in AMerica for decades. According to KTVU, The error at the pumps at the ARCO station at Middlefield and San Antonio read 37.5¢ cents a gallon instead of the going rate of $3.68 a gallon for regular unleaded. I know exactly where that gas station is and have bought gas there. Of course, I wasn’t there to enjoy the “discount.” Of course. Let’s just count this as more retribution for that nasty 2010 Gulf of Mexico oil spill debacle. I was very sad to hear that one of my son’s best friends whose parents are raging Democrats was rethinking their friendship simply because his costume was of Mitt Romney as a mormon missionary. This broke my heart. He’s really a sweet boy and I get along well with his parents. I was truly surprised. This child has no idea how I voted because I was undecided right up to the last minute. It was a flippin’ costume? Get a sense of humor, would ya? We considered doing Obama but that was boring. He’d be another black kid with a short afro wearing a suit and tie. A mormon missionary was a much more amusing visual. 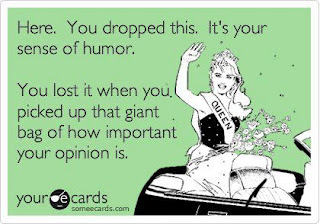 I would like to remind ALL Americans that you need to recultivate your sense of humor, PLEASE! 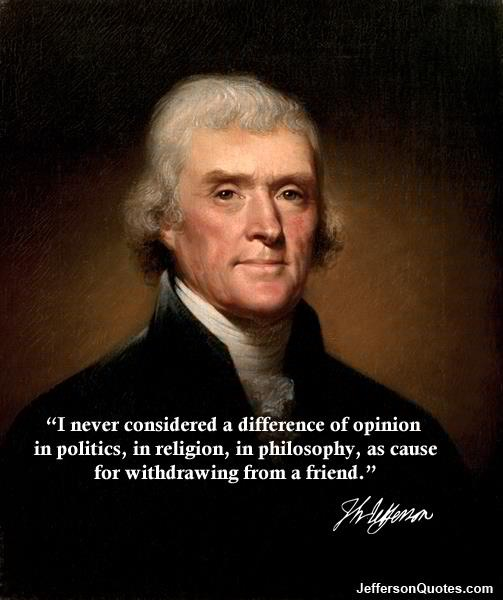 With that in mind, I posted a very poignant quote by Thomas Jefferson that all Americans need to keep in mind. 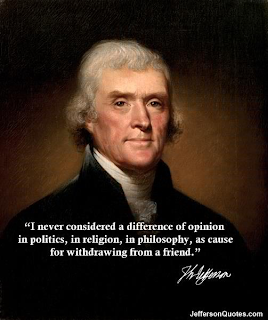 Let’s not end friendships over religion and politics. Okay? To quote that great theologian, Rodney King, “Can’t we all just get along?” I mean, really. To end, this came from a Star Trek fan and George Takei shared this. 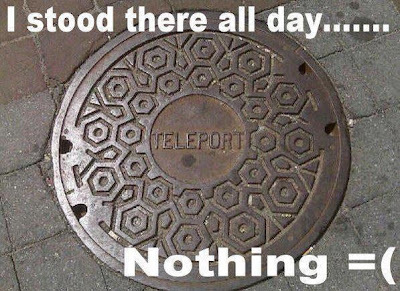 I wish our technology would hurry up with this reality. Communicators are cell phones, we have microwaves, what’s taking so long to invent the transporter? I’d love to go to Paris for lunch and be home for dinner on the same day. Ya know? Next Post: Thank God Its Facebook Friday!